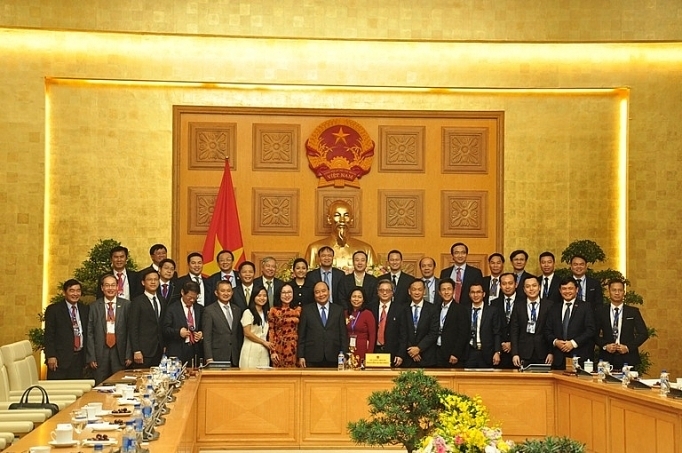 Vietnamese products can only be worthy of the ‘national brand’ honor when they secure “a standing” in the global value chain, Prime Minister Nguyen Xuan Phuc said. The PM was speaking at a meeting with representatives of nearly 100 domestic enterprises who earned the top honor of 2018 in Hanoi on December 20. ‘National brand’ products represent Vietnam as a country, which means they must be able to capture the international recognition. Failure to do so would impede our efforts integrating into the global economy, he said. Cherishing and upholding the ‘national brands’ also constitutes a gesture of respect for the country, he said. PM Phuc reiterated that “the health of enterprises is equivalent to the health of the economy” and that the strength of the brands is the most important measure to gauge this. “I trust there are many more other outstanding brands with huge potential but their true worth has not been recognised by the programme or the customers,” the Government leader said. He also told businesses to be “consistent” with the offerings, avoiding a decline in quality in the future, which he deemed “a notable weakness”. 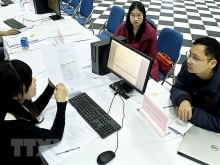 Referring to a complaint that Vietnamese customers’ preferences are heavily skewered towards foreign products, the leader urged businesses to do serious “soul-searching” to see whether their offerings and services have been good enough, urging businesses to pay more attention to the domestic market. The event honouring the 97 enterprises attaining the ‘national brand’ titles was the sixth edition of the programme that was first launched in 2008. Last year, 91 enterprises gained the titles. In 2017, total revenue of the honoured 97 firms reached 924 trillion VND (40.8 billion USD), an increase of 28 percent on 2015’s figure. They contributed 63 trillion VND to the State budget, 19.3 percent higher than that of 2015.